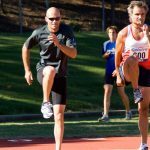 Coach Dave is our Sprint and Fitness coach and has over 20 years International level athletic experience. Dave has competed at many State, National and International level athletic competitions. He has been an Australian Masters Sprint Champion multiple times over the past 2 decades. He currently holds several Games and Event sprint records around Australia. He was a previous holder of the 60m Australian record. 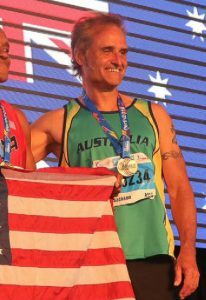 Coach Dave also specialises in sprint relay events and is the current holder of 5 Australian Sprint Relay records. Dave has been coaching for 10 years and being an athlete himself, understand the needs of the athlete. 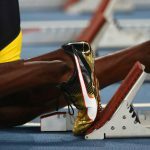 He is an accredited Athletics Sprint Coach and is registered with Athletics Australia. Dave specialises in Starts, Sprint, Middle distance and Relay training.